“It's about time Canyon Country has a great auto repair shop with great prices.” I have been bringing my car here for awhile. The service and staff are both amazing. The prices can't be beat. Everything is done in a timely manner. They stand by there work and you will never be disappointed. I highly recommend this place. There work is high quality with amazing prices. Can't be beat. 5 star review by Taline I. “Brad is an honest and helpful guy and won't steer you wrong.” He gave us an accurate diagnosis on my sons car and did what he said he'd do. He followed up with us on a regular basis to let us know what was going on. The service and work here is excellent, we highly recommend them and will use them in the future for our automotive repairs. 5 star review by Chad C.
“John is probably the most honest mechanic in Santa Clarita!” I took my truck in because the suspension was squeaking. He told me the leaf springs needed to be replaced. He called SCV Frontier Toyota who informed him my truck had a recall for new leaf springs. John told me to take it to Frontier and they'd replace it free of charge. My family has gone to them for their last couple trips to the mechanic, and G&M Auto is so much more reasonably priced than previous mechanics. Also, the rest of the crew there is incredibly helpful and friendly! John takes care of his customers and is a man of integrity! 5 star review by Mike T.
“I highly recommend G&M auto to service your vehicle.” John has been taking care of our family vehicles for several years now. Brad is in the front office and is always friendly and helpful. The mechanics are extremely competent and very thorough. They're so honest that I have to push them to complete repairs that they feel are not yet needed. I prefer to replace old parts with new parts before they break and leave me stranded on the frwy. Preventive maintenance is key. I wouldn't take my vehicles anywhere else. Defenitely the best mechanic shop in Santa Clarita. Thanks John and Brad! 5 star review by Allan D.
They were extremely professional and upfront, which was appreciated after having dealt with a different place/mechanic first. G &M ended up saving me both a big headache and a lot of money. In the end I decided to sell them the car for a fair and reasonable price. All in all, it was an excellent experience. 5 star review by Jane M.
“This is hands down the best service and customer care.” They make sure your vehicle is repaired and you're satisfied. John is very honest and if your car/truck does need repair, he doesn't find extra things to fluff the charges.Other auto repair shops should be so honest. 5 star review by Julie M.
When you're looking for an auto repair shop to trust your vehicle with, it's important you find the right one. 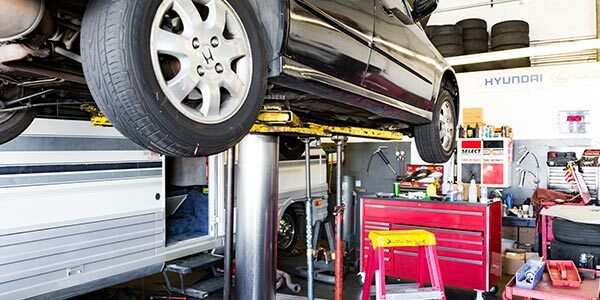 In Santa Clarita, there are number of car shops and it may be difficult to know who to trust. At G&M Auto Repair, we have more than three decades of industry experience and treat each and every one of our customers like family. We promise take very good care of you and your vehicle. When you bring your vehicle to us, we don't just make all the decisions for you or tell you what you need. We strive to educate you and provide the necessary information so you are able to understand the situation and make an informed decision. This is just one aspect of our dedication to excellent customer service. 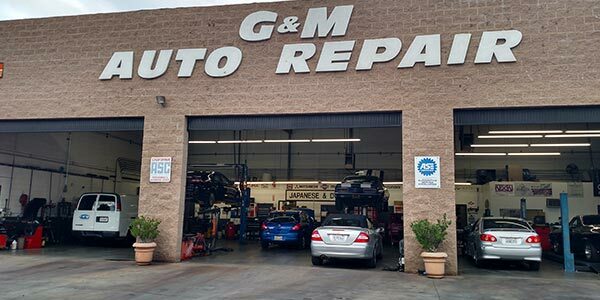 John Wright, the owner of G&M Auto Repair, has been serving the Santa Clarita Valley for ten years. At G&M Auto Repair, we guarantee that your car will be inspected and repaired by honest and ethical technicians. John and his technicians are ASE-certified, which refers to certification by the National Institute for Automotive Service Excellence. John also carries certifications from Toyota, Honda, Ford, and GM, and he has been trained and certified for all hybrid makes and models up to 2014. He offers an excellent warranty of 3/36,000 miles—the best in Santa Clarita! We specialize in servicing all cars, of virtually any make and model, Asian or domestic. To make things more convenient for you, our service even comes with free round-trip local shuttle service, to help you get back home or wherever you need to go. Since we opened our business in 1981, we have built a large client base with customers in Santa Clarita, Canyon Country, Valencia, Newhall, and Saugus. You will likely come to appreciate the lengths we go to in the name of customer service. and dedication to customer service, you won't be disappointed. Please feel free to browse our website to see the services that we offer. We specialize in inspecting and repairing domestic cars of any make and model. Our goal is to help you ensure everything is working properly so you don't develop any serious problems. It can be difficult to find a repair shop who can properly take care of foreign vehicles. Here at G&M Auto Repair, your foreign automobile will be in experienced, competent hands.